When the zoo public – being themselves wrapped up in thick coats, gloves and woolly hats – see the elephants in winter in the outside enclosure, they wonder, whether it’s not much too cold for the animals. However many visitors are not aware that Asian, but also African elephants live at a big height. In their habitats the temperature can easily drop below zero degrees at night. So the home country of the two cow elephants of the zoo of Zurich – Druk and Chhukha – is Bhutan. Bhutan is a mountainous country at the South declivity of the Eastern Himalayas between China and India. 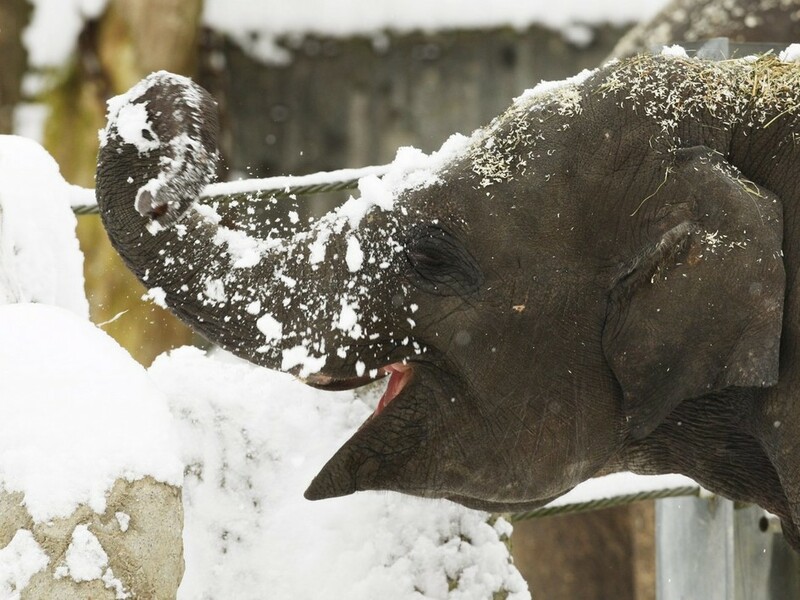 Does the cold have an effect on the elephants’ everyday life? 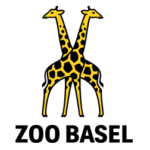 The zoo in Zurich is located at 609 meters above sea level. That means that the elephants have to live in wintry conditions from the end of November until the end of February. These climatic conditions have an effect on the elephants’ daily routine. But also at temperatures of below zero degrees, they are let out into the outside enclosure in the morning for the cleaning of the stable. This requires speedy and accurate working from the elephant keepers, because otherwise the elephants could get too cold and they could freeze freeze and fall sick. Are elephants sensitive to cold? However the fresh air and the change compared to their living in the stable is good for the animals. 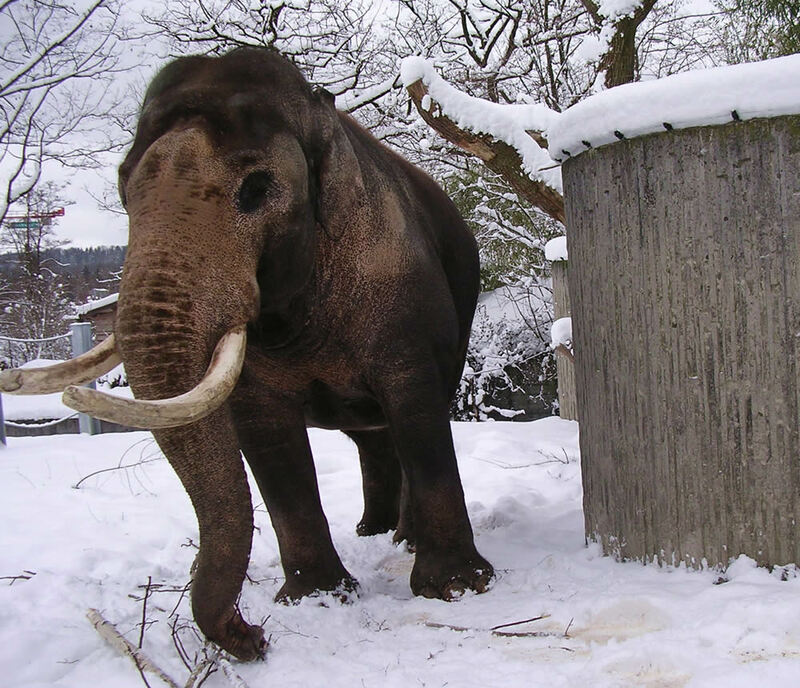 It is important that the skin of the elephants is absolutely dry when they are let out from the stable into the wintry outside enclosure. Especially the edges of the ears and the tip of the tail of the elephants are particularly at risk at a severe cold. When can the elephants not go out anymore? 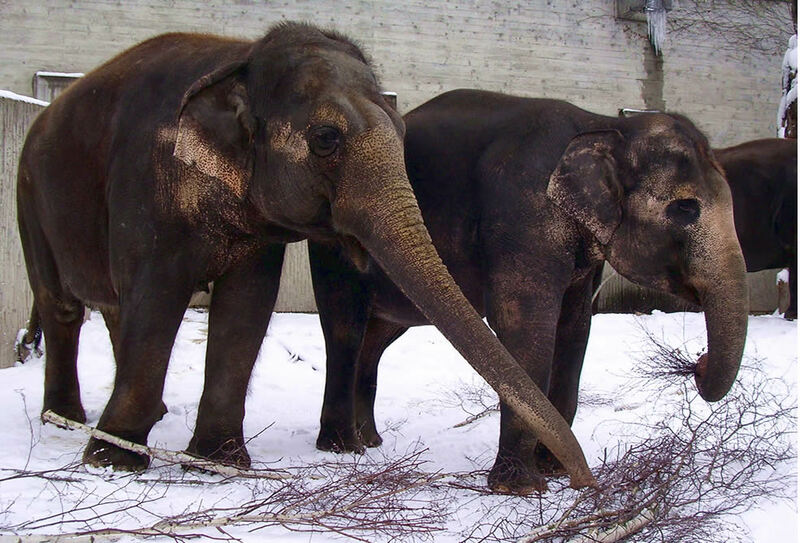 When it’s still very dark and extremely cold (10 degrees below zero) in the morning, the elephants can not be let out into the outside facilities anymore. After the cleaning of the stable, the elephants are fed with bran. The morning work in the elephant stable can start. Because the elephants’ skin is wet after the daily washing and bathing, they are not yet let out into the outside enclosure due to the danger of catching a cold. Neither the warm sun, nor the fresh air calls the elephants into the outside enclosure during this time of the year. There’s plenty of time now to care thoroughly for the feet and the nails of all elephants. On this occasion the profile of the sole should not be cut back too much, because otherwise the elephants lose their slip reliability on the stamped snow. This could lead to dangerous falls. Winter is also the time for the dressage and the training of the young elephants. But also the older elephants like it when somebody spends time with them and works with them. When do the elephants go out? After the work there’s a snack of branches and hay in the stable. During the midday break, the elephants dry in the heated stable and after that they can be let out into the wintry outside enclosure. 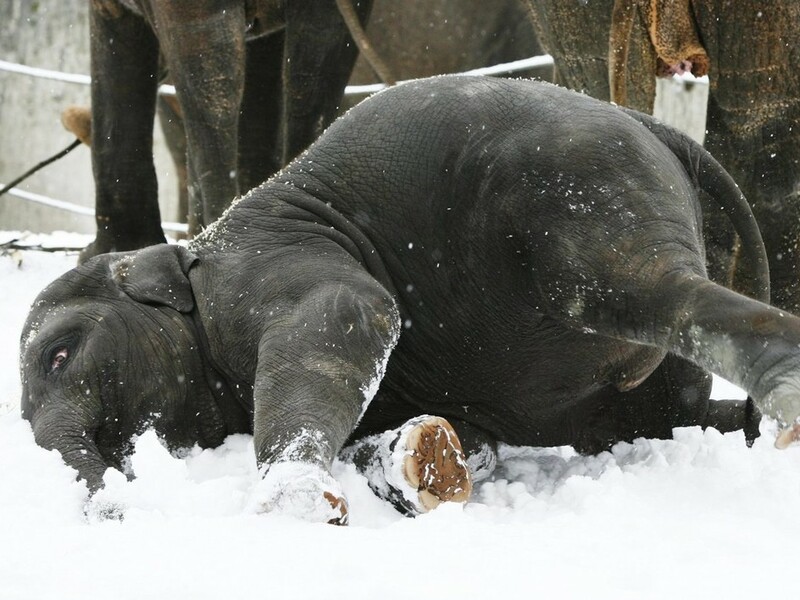 Usually particularly the young elephants get a lot of pleasure out of the snow and the ice chunks. They grasp the unknown white thing or try to eat the snow. However, too much of it is bad for their health and can cause belly-aches and diarrhea. Do elephants like to be in the snow? 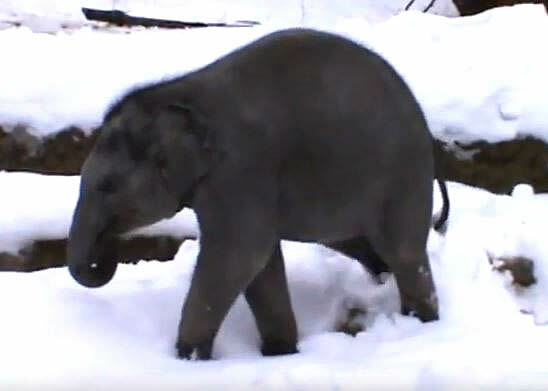 Snow and ice are new elements in the elephants’ everyday life. The snow lets the outside facilities appear completely new and the ice forces the elephants to use a more careful and slower pace. Fortunately the elephants move on four strong legs with a good grip profile at their feet. Wranglings don’t happen so frequently and even the bull adapts his temper to the external circumstances. After the stable has been cleaned once more and the evening food has been given out, the elephants will gladly return into the warm stable after about one and a half hour.